The white bird is seen floating in a transparent pool, therefore, observers get a chance to see what actually happens underwater, and how the animals' body and feathers look. 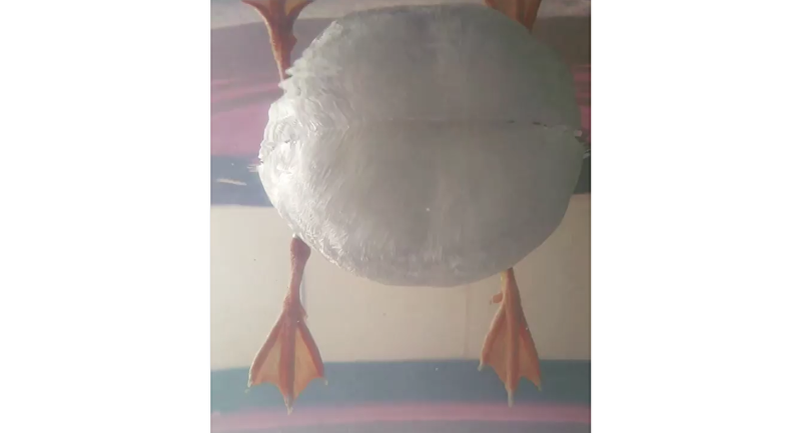 A domesticated duck kept by owners as a pet, probably, received its own personal transparent tiny swimming pool as a gift so it could always have access to water. The owners decided it was the perfect time for a photo op, and captured a hilarious video of their cute pet from an unusual angle. Ducks have a certain gland which secretes an oily substance which the bird then spreads over its body with its beak. This helps the animal make its feathers water resistant.